Night skiing at Queenstown’s Coronet Peak is set to be bigger and better than ever before with double the amount of terrain under lights and new night freestyle features. Work is underway to install approximately 80 new lights on the mountain, adding over 4km of trails and doubling the accessible terrain on Friday and Saturday nights during the 2014 season. Along with the additional night ski trails, a new ‘Park after Dark’ freestyle run with boxes, rails and a giant airbag will cater to skiers and riders who like to hit the terrain parks. 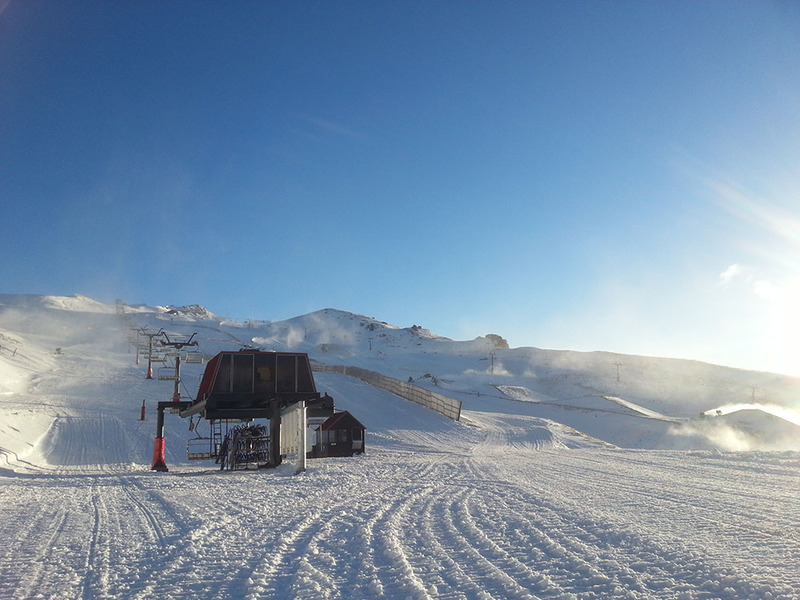 Coronet Peak ski area manager Ross Copland said he was “over the moon” that the night ski experience would be even more appealing and great value for money. 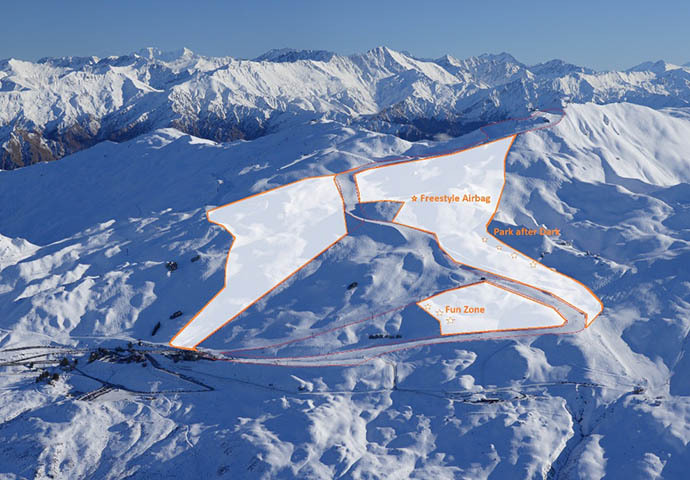 “A large proportion of our night-time guests are locals who love the freestyle terrain on offer over at The Remarkables, so we want to make night skiing even more enjoyable for them while still maintaining our family-friendly vibe,” said Mr Copland. “Lights are going in to cover Million Dollar, Wall Street, The Hurdle and Eighth Basin, while still lighting up the main M1 trail and the beginners’ area. We’ve modified our extensive snowmaking network to add some large Metal Halide lights which give a higher light output and more uniform coverage than we’ve ever had for night skiing. “Eighth Basin will be freestylers’ heaven with a series of features, while the Elephant Pit will host the freestyle airbag that will operate during night ski hours from 4pm to 9pm. “Coronet Peak’s the only ski area in New Zealand to offer night skiing. We’ve listened to feedback and invested in a giant 16x11m airbag which is perfect for riders to try out that new trick safely – and have some fun. We’ve also brought the ‘Park after Dark’ concept to life with features catering to all ability levels. Also improving the night ski atmosphere and ambience will be two outdoor Italian wood-smoke pizza ovens offering $10 pizzas, music on the deck and stylish new outdoor gas heaters to keep guests warm between runs. A brand new outdoor Corona Bar, new mega video screen and DJ station will bring a high quality audio-visual experience while skiers and boarders chill out between runs. “We want to encourage people to start their night out with us up the mountain, so we’ll have food and drink specials on offer and a re-vamped dinner menu accompanied by an extensive wine list,” said Mr Copland. “It really will be an experience unlike anything else in New Zealand; it’s a must-do on your visit to Queenstown”. Themed nights throughout the night ski season will be extra incentive for snow lovers to head ‘up the hill’ including a Clicquot On The Snow event, a singles night and a full moon party to name a few. Night skiing is available Friday and Saturday nights from late-June to September. 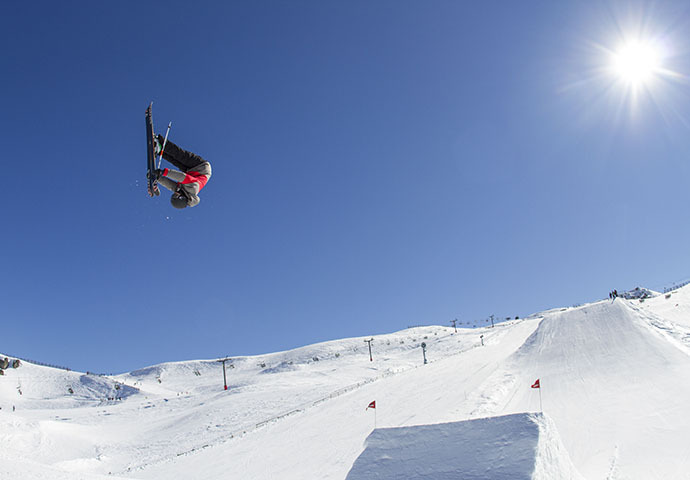 Lift passes are available online at www.nzski.com or at the Snow Centre. A Night Ski pass (4pm -9pm) costs $51 per adult and $35 per child with Twilight passes (12.30pm – 9pm) at $98 per adult and $55 per child. A Queenstown season pass includes lift access during night skiing. A Night Ski season pass can be bought as an add-on to a Remarkables-only season pass for $99. Season passes can be bought at the Earlybird rate until midnight on Thursday March 20. Taking Viagra with a nitrate drug Dred viagra, and one that affects women across the age spectrum.